If ‘Yes Minister’ were true (and who’s to say it isn’t?) ‘The Policies of Rt. 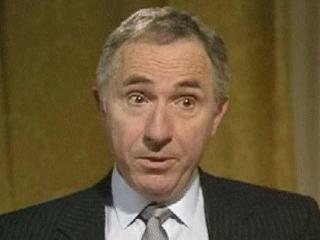 Honorable James Hacker MP’ might more correctly be described as ‘The Policies of Sir Humphrey Applebee’. Likewise, when considering the colonial policies of Peel and Russell, as I did recently,there is a Sir Humphrey-like character at work there too: Sir James Stephen, the Permanent Undersecretary of State for War and the Colonies. He acted as Permanent Undersecretary between 1836 and 1847, but his involvement with the Colonial Office extended from 1813 when he commenced work as legal counsel there. As a result, he served under, by my reckoning, thirteen different Secretaries of State, several of whom had multiple rides on the ministerial merry-go-round. The Stephen family is a prominent English family, many of whom worked as colonial judges and legal officers, and hence moved in the same orbit as Judge Willis. Another branch of the family extended into ‘arts and letters’ through Sir Leslie Stephen (of the Dictionary of National Biography fame) and his daughter Virginia Woolf. The family ethos was strongly Evangelical, with links to the Clapham Sect and the anti-slavery movement. When you’re looking at the Colonial Office records, there are little glimpses of Sir James Stephen in many places. As part of his drive to introduce more efficiency into the Colonial Office, he introduced a stamp system by which a document would move up and down the bureaucratic ladder, from civil servant to civil servant, up to the Secretary of State and back down again, with each initialling and dating in the designated spot on the document as it made its progress through the Colonial Office. Where it was felt that a comment should be made, the edge of the document was turned over to make a dog-ear, and the civil servant or politician would make an annotation written at right angles to the rest of the document, asking a question, or making a comment to the next person up the chain. If the issue raised was a curly one, it might bounce back and forth between two civil servants with comment and counter-comment until it moved further up or down the bureaucratic ladder. 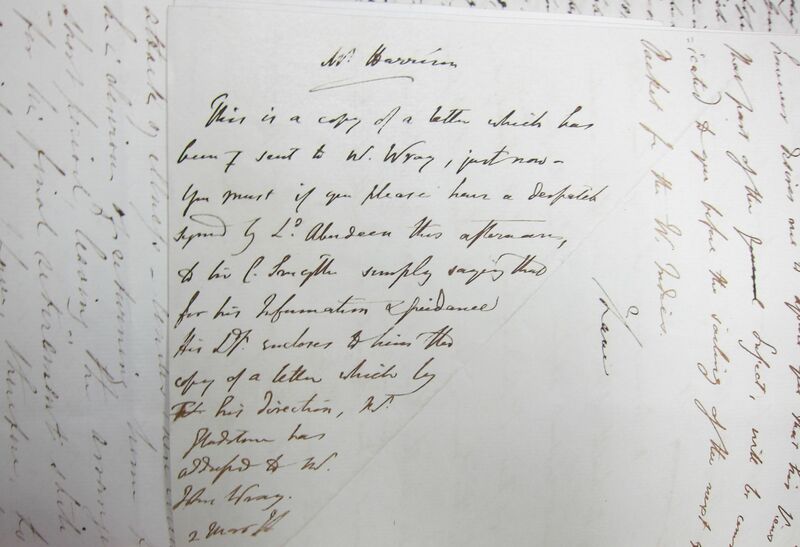 On occasions, James Stephen would write a longer memorandum that would be attached to the document in question. In the archives today, these memoranda stay with the original correspondence, each carefully hived off into the files for the each specific colony. This colony-specific focus tends to obscure the fact that, in any given week, the Colonial Office was dealing with the small dramas and mind-numbing minutiae of British colonies across the globe. Yet there were commonalities among the types of issues that crossed the CO desks, and the response to them was underpinned by a broader, consistent theory of empire, largely embodied in Sir James Stephen’s bureaucratic contribution. This book takes as a whole James Stephen’s attitudes and advice on colonial policy across the portfolio and over the thirty-odd years that he was at the Colonial Office. There is, of course, contradiction and change in his opinions as the empire itself changed: I’m sure that Stephen would have agreed with the aphorism attributed to John Maynard Keynes (“When the facts change, I change my mind. What do you do, sir?”). Nonetheless, there are bedrock beliefs in James Stephen’s annotations and memoranda that Knaplund draws out in this book. One of these was his suspicion of colonial adventurers on the lookout for quick profits. In particular, he was wary of the Wakefieldians who returned his distrust with the sobriquets ‘Mr Mother Country’ and ‘Mr Over Secretary Stephen’ and very public ridicule. He was insistent on safeguarding humanitarian principles in relation to slavery, transportation and prison policy, and indigenous policy. He was particularly distrustful of the West Indian plantation owners and their influence on the local legislature and judicial system. His mode of operation was to always support the governor on the ground in the colony rather than laying down prescriptive policy from the Colonial Office. As long as no-one other than the colonists were being hurt by what he perceived as bad policy, he was happy to let it stand. The colonists themselves would realize their own error, he reasoned, and the Colonial Office would be in greater odour for intervening rather than letting the colonies reap what they sowed legislatively. He was also supportive of self-government, probably moreso than his political masters. He viewed self-government as an inevitable developmental process, arguing that the colonial children would soon grow into adolescence and demand a more adult relationship with the mother country. He was, apparently, a painfully shy man, describing himself as “virtually without skin” and rather ascetic by nature, eschewing cigars after having just one and enjoying it too much. He was a prodigiously hard worker and the breadth of his knowledge of events and personalities across the empire is mightily impressive. He was in many ways the corporate memory of the Colonial Office, even though the Secretaries of State that he served under sometimes disregarded or over-ruled his advice. Nonetheless, his is another voice in the chorus of Colonial Office policy, and one that cannot be overlooked. This entry was posted in Book reviews, Colonial biography, Nineteenth Century British History. Bookmark the permalink.